Just Ask D: Are you connected to your emotional self? Are you connected to your emotional self? For many of us, it can be hard to properly express our emotions. We tend to either keep our emotions bottled up and not show them to anyone, or they overflow and spill out in unhealthy and unexpected ways. In our society, emotions are often seen as a sign of weakness. They are viewed as the opposite of “rationality” and “intelligence,” and this stigma is part of what makes it difficult for people to express their emotional self. We don’t want to be seen as weak. However, emotions play a huge role in how we understand the world and communicate to others. It is therefore very important that we learn how to connect more with our emotional self. Be aware of signs of emotional repression. The first step in connecting more with your emotional self is to be aware of signs of emotional repression. One common sign that you are repressing your emotions is that your emotions often erupt unexpectedly. For example, you spend a long time not telling someone about this little thing that bothers you, and then one day you just explode at them. When you don’t allow yourself to express or release emotions in a healthy way, they can build up to a point where you can no longer control them. Other signs of repressing your emotions include lots of stress, anxiety, fatigue, and even insomnia. Keeping emotions bottled up is draining on your body. When you try to keep your emotions all to yourself, you often feel physically worse. Ask yourself how you feel everyday. One simple way to connect more with your emotional self is to give time to ask yourself how you feel every day. Just spending 5-10 minutes sitting down and questioning your feelings, can make a big difference in how well connected you are to your emotional self. We often see our emotions as part of the “background” of everyday life – so taking just a bit of time and making them your main focus can be a very healthy and refreshing thing to do. And if you practice meditation, consider spending a whole session just using your emotions as the object of focus. Don’t try to rationalize away every emotion. Often times people who aren’t connected with their emotional self feel a constant need to “rationalize” their emotions. They can’t just “feel” for the sake of “feeling.” There needs to be a reason, a purpose, or an explanation behind every feeling they ever have. While it can be useful to analyze our emotions sometimes, it’s also nice to just let yourself experience an emotion without needing to find some underlying reason behind it. Not every emotion is going to be explainable. In fact, often times emotions express a special kind of “knowledge” about ourselves and our world that can’t be translated verbally. You need to sometimes accept emotions as a language of their own. Emotions can be difficult to share with others, but they are still good to talk about on a regular basis. Talking more about your feelings allows you to be honest about your emotional self, and gives others the opportunity to offer insight that you may have not considered. Many emotions are emotions driven by our relationships with other people – social emotions – like love, anger, disappointment, shame, embarrassment, guilt, and pride. By openly sharing our feelings with others, we fulfill our emotional expression at a much needed social level. Find ways to express emotions creatively. Talking with others is one way to express your emotions, but another healthy alternative is to find creative outlets. This can include any activities such as music, writing, photography, painting, film-making, dancing, or whatever you are passionate about. Often times art gives you a way to communicate your feelings in a way other than just words. It allows you to connect more with the physical and visceral experience of your emotional self. Having creative outlets also gives you a chance to digest your emotions at a unique and personal level that can’t usually be achieved through only introspection and conversation. Use movies, TV, books, and music that elicits strong emotions. Another great tool in helping you connect more with your emotional self is to watch movies or TV, read a book, or listen to music that elicits strong emotions. Often times consuming movies, TV, books, and music can give us an emotional experience that we don’t always have in our “real world” lives. For example, a movie can take you into the life of a character who lives a vastly different life than you – and goes through struggles that are different than your own. In this way, these forms of entertainment can broaden our emotional flexibility – they give us a chance to experience a more “full range of human emotions” that isn’t always available to us. Horror movies give us a chance to experience terror and fear. Romance novels give us a chance to experience lust and love. And dramas give us a chance to experience sadness and grief. All of these provide a safe and healthy way to tap into different emotions. Becoming self-aware of your emotions and the importance of actively expressing those emotions will allow the body and the mind to regulate itself towards a healthy, balanced existence. 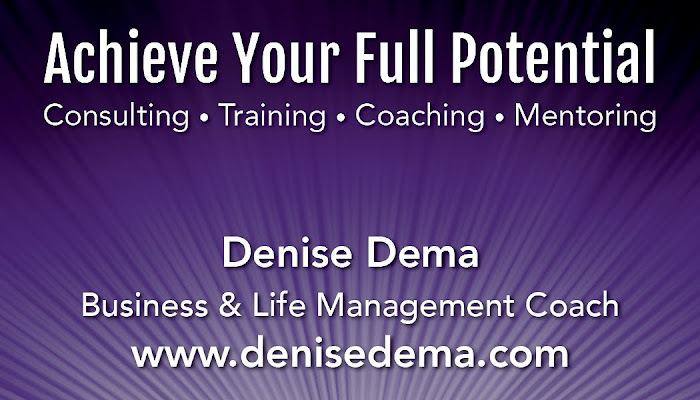 Achieve your full potential! Book a complimentary session at Business and Life Management Coaching to get the support you need to excel in your professional and personal life!